This model is the Unknown Ice Cream Delivery Truck in white issued in 2017 as a promotional item in New Zealand for Tip Top Ice Cream's 80th Birthday. The model has no opening features apart for the rear doors. 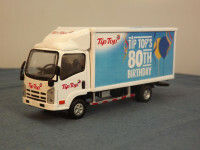 The model is comprised of five main castings, the cab, cab aerodynamic faring, chassis, rear body, and rear body base/floor. 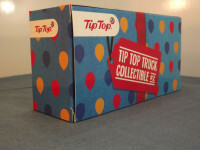 At the front, the grille and headlights are cast into the body and picked out in black with the headlights being covered with a clear plastic lens. 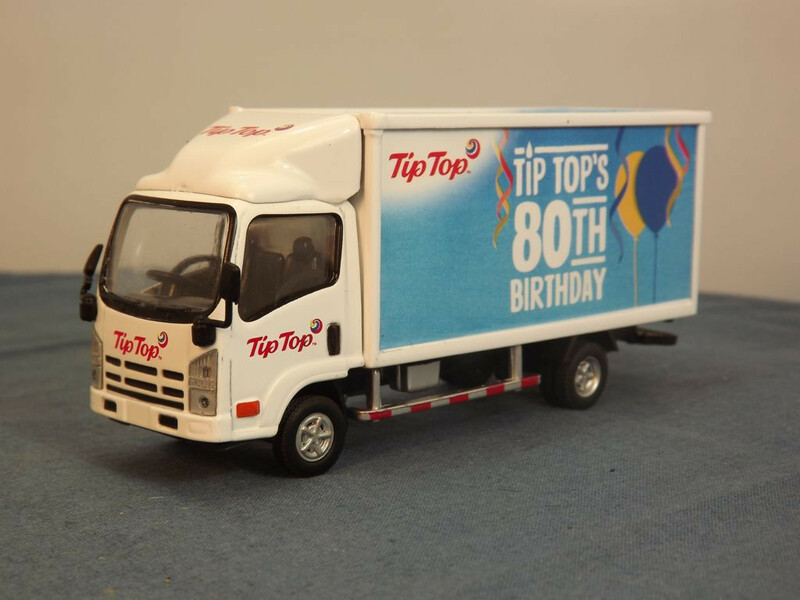 The cab carries "Tip Top" logos on the front, sides doors and aerodynamic faring. 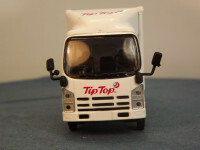 Separately cast black plastic wing mirrors are fitted either side of the windscreen. 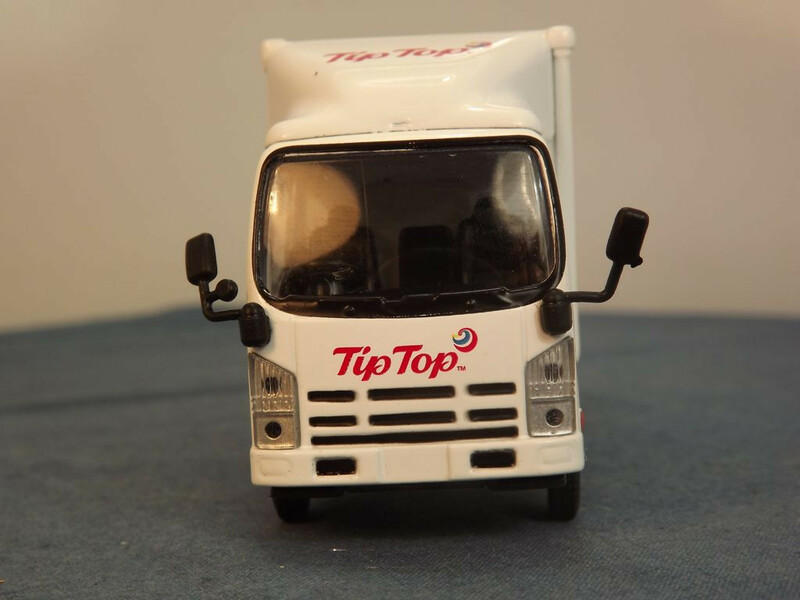 At the sides the doors are cast into the body but have black plastic door handles that are actually cast as part of the interior. 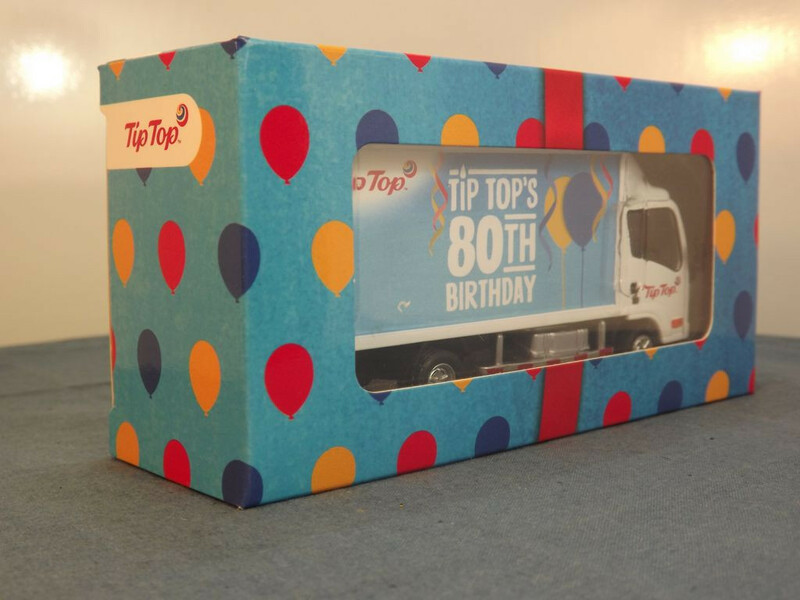 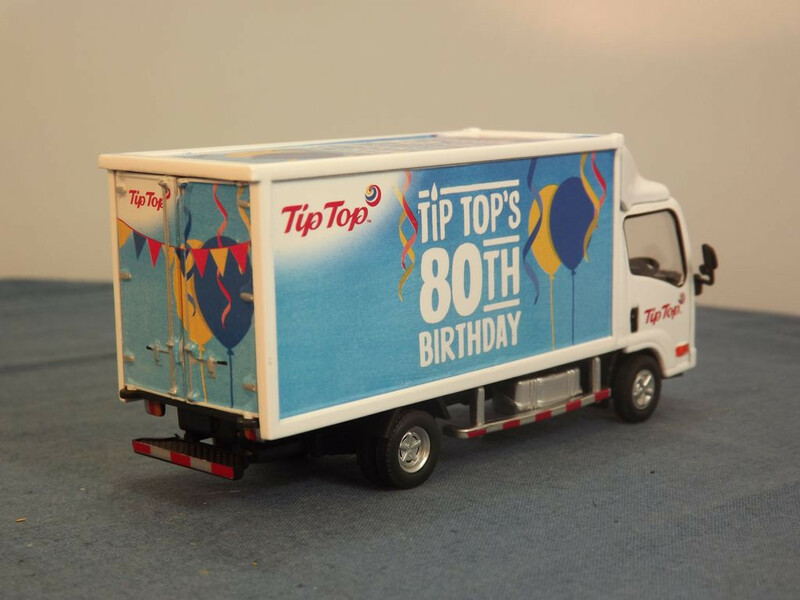 The rear body sides carry full advertising with the Tip Top logo, party streamers, balloons, and "Tip Top's 80th Birthday" in white lettering. 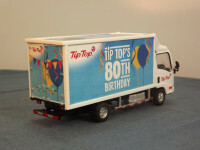 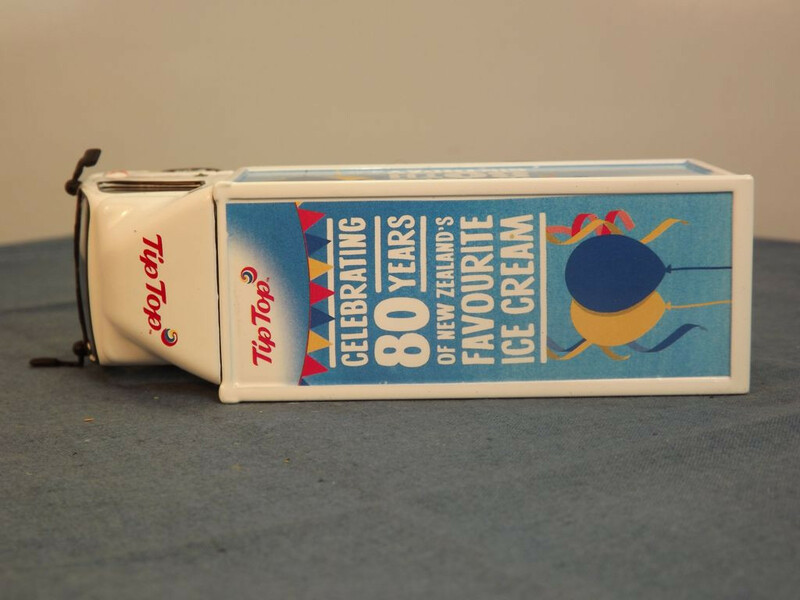 This advertising also appears on the rear body roof and reads "Tip Top, Celebrating 80 Years of New Zealand's Favourite Ice Cream" The rear doors carry the tip Top name and balloons and party ribbons. 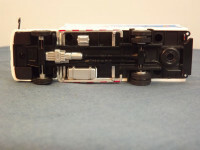 The rear body floor casting incorporates the rear mud flaps for the rear wheels. The chassis casting incorporates the suspension, axle housings, drive shaft, exhaust system, spare tyre mounting and rear bumper. 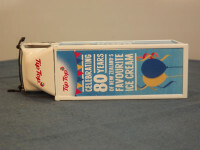 It holds in place a silver casting of the engine and gearbox, fuel tank and side protection bars. 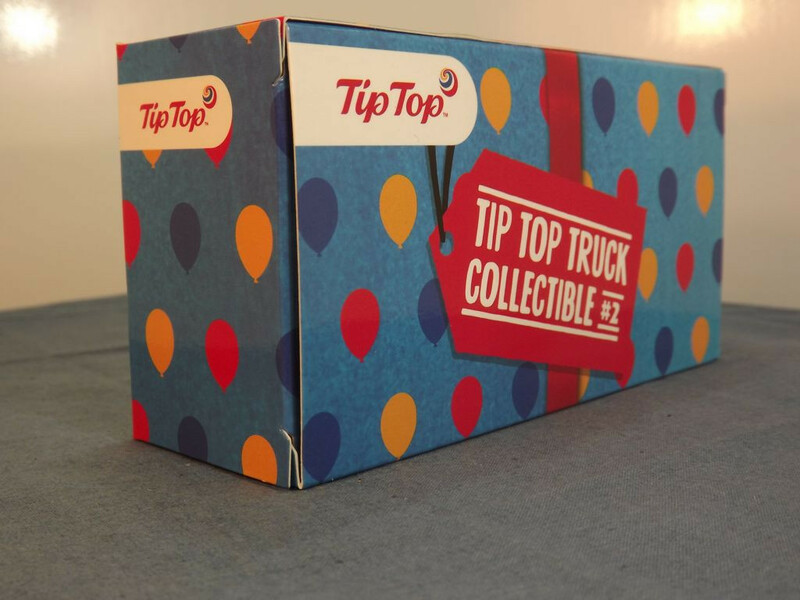 The interior is all black plastic and contains three seats, dashboard, steering wheel, grab handles and the two previously mentioned exterior door handles. 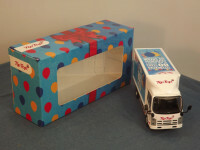 The cab glazing is clear. 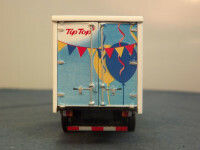 There is no "base plate" as such on this model and neither the underside of the rear body or the chassis carry manufacturer's marks or country of origin details. 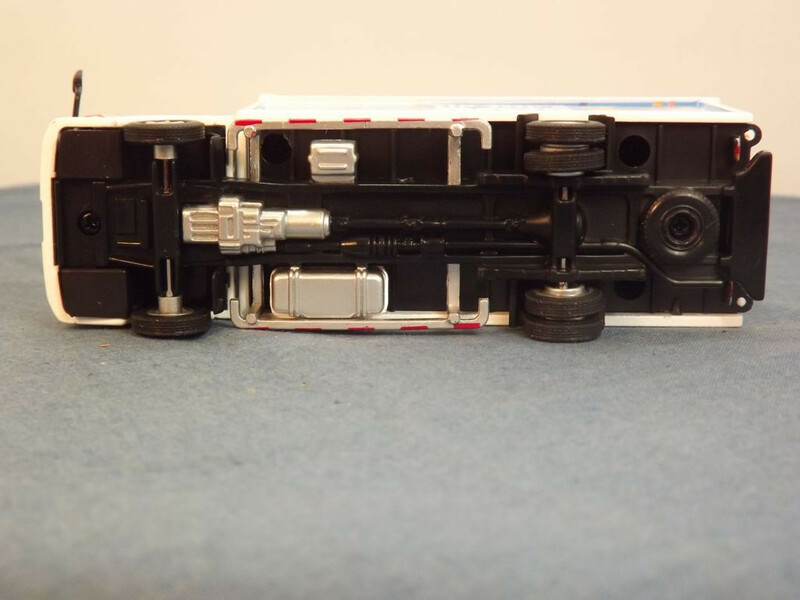 All wheels are silver plastic - solid one piece cast plastic hub, with 5 spoke pattern and separate black rubber tyres, mounted on steel axles.